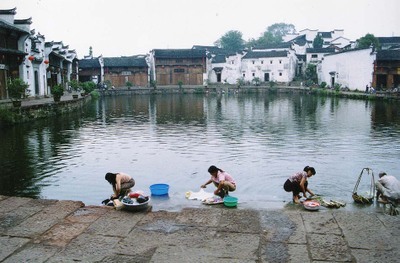 giving tips on where to travel: the photo above is from a long, detailed Tianya post about where to go to see ancient architecture in Zhejiang province, and how to get there. There are some beautiful photos on the post, much better than the usual shots of rebuilt tourist spots. Really a fine site, thanks to all the workers on this May Day. The photos and wealth of information is great for anyone interested in this fascinating country.